⚔ USAs rumkommando. USSPACECOM is a unified command of the DoD supported by three component commands: AFSPACECOM, NAVSPACECOM, and USARSPACE. USSPACECOM conducts all integrated attack warning and space operations including control of space, direction of space support activities, and use of space assets to enhance the force effectiveness of other combatant commands. USSPACECOM is headquartered at Peterson AFB, Colorado Springs, CO. The command operates the Space Defense Operations Center (SPADOC), the Space Surveillance Center (SSC), the Missile Warning Center (MWC), and the Joint Space Intelligence Center (JSIC). 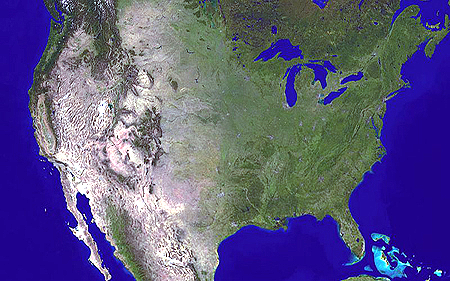 It also directs space support operations for assigned spacecraft systems, including the Defense Support Program (DSP), Defense Satellite Communications System (DSCS), Global Positioning System (GPS), Transit Maritime Navigation System (TRANSIT), Fleet Satellite Communications (FLTSATCOM), Air Force Satellite Communications (AFSATCOM) System payloads, and the Defense Meteorological Satellite Program (DMSP). USSPACECOM provides joint employment of military forces and operational support to other unified, combatant commands. Its mission is to conduct joint space operations in accordance with the Unified Command Plan assigned missions: Space Force Support, Space Force Enhancement, Space Force Application, and Space Force Control.